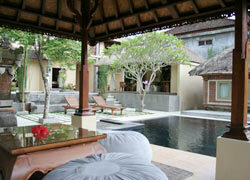 Bali Spa It is located 10 minutes from the center of Ubud and near Tegalalang where is famous for the rice terrace. 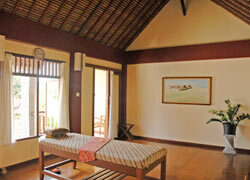 Once you enter Lokasari Spa, you will feel like coming to your friend’s house to relax. 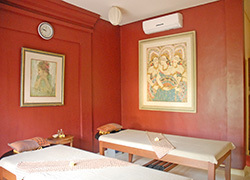 They have a very comfortable treatment room, a quiet garden and a pool which are different from spas in Southern area of Bali. 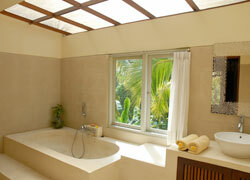 The great view of Ubud and relaxation with a reasonable price are available! After the Foot Bath, you will have foot massaged and toenails cared. A whole body massage by using the palm of the hand. After the Flower Foot Bath, enjoy the great combination of the Balinese and Swedish style massages at the same time. Using red bricks makes a whole body relaxed They use ginger oil. They put stones on where tiredness stays on the body to improve blood circulation and warm the body up, so in the end, your body won’t have stiffness anymore. It is traditional Indian treatment. Pouring oil on a forehead and gently give a massage on it. The course includes head massage and hair treatments. You can choose your favorite oil and enjoy Body Scrub and Polish with milk. You can choose your favorite scrub from the blow. This course is a great way to refresh and get your facial skin healthy. Coloring for nail and care. Enjoy the relaxing time with perfect romantic oil and Flower Bath. Fantastic package to make you feel like a princess! Package to enjoy a priceless moment. From Ubud area, Free Shuttle Service is available from 1 person. From Kuta area, need Rp175,000 for one-way, From Jimbaran area need Rp250,000 for one ways. 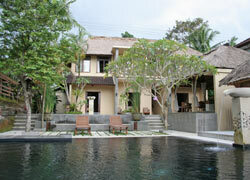 From Nusa Dua area, need Rp 3000,000 for one way. To the airport, need Rp.200,000 for one way. ★ Driver Service (8hrs) for transportation and sightseeing is available. Children can wait at the lobby or the treatment room. There are menus for children over age 10. 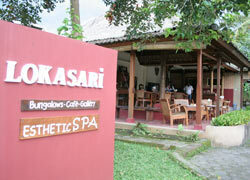 I was wondering whether Ubud has only luxury spas, however this spa provides spa treatments at reasonable price. 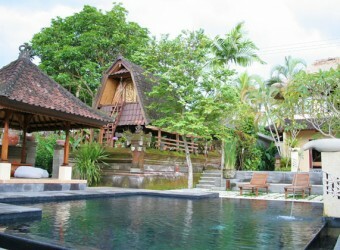 On the Ubud tour day, after coming back from the southern Bali I was going to spa, but suddenly it was changed to this spa. 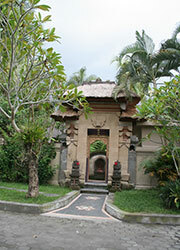 It is not a stylish spa, but I was glad I could have Balinese treatment at this spa.